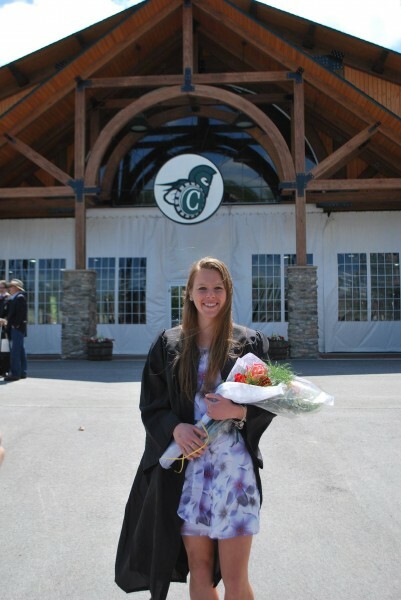 As a communication major with a dual concentration in journalism and public relations as well as a triple all-time record holder for the women’s lacrosse program, JenniLee Mark, ’14, battled both academically and athletically in her four years as a Spartan. Through Mark’s efforts she wrote her own piece of Castleton history and today holds records for ground balls, draw controls, and caused turnovers. Named to the NAC Second Team All-Conference in her junior season, she notched 20 goals, picked up 38 ground balls and 26 ground controls, while also causing 17 turnovers. Today her professional drive mirrors the vigor she once brought to Spartan Stadium. As an account executive with Thompson Habib Denison Inc., Mark works with strategy development and direct response campaign processes for non-profit organizations. Looking back on the frosty early morning practices, team bus rides, and home games beneath the stadium lights, she said her teammates, coaches, and the Spartan fans were an irreplaceable part of her Castleton experience. Vermont’s natural beauty brought the Chelmsford, Mass. native to Castleton, and its environment proved to bring her closer to her teammates during the early spring practices filled with ice and snow. To current student-athletes and aspiring Spartans, Mark advised to take advantage of every opportunity and every challenge that Castleton Athletics has to offer. “Not only will it make you better and stronger and in your sport, but it will make you better and stronger as a person,” she said. © 2019 Castleton University. All rights reserved.